Today, you can walk into a car dealership and purchase a car that parallel parks itself, thanks to carefully designed algorithms and strategically placed sensors. Engineers like Herbert “Bert” Tanner laid the groundwork for this automotive capability back in the 1990s. He tackled the problem of autonomous parallel parking around obstacles in an undergraduate senior thesis in mechanical engineering. Since then, Tanner has been on the leading edge of robotics and control technology. 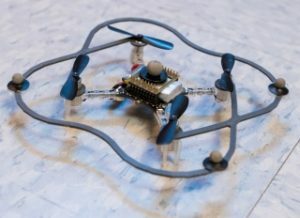 Robotic drones have surged in popularity just recently for businesses and hobbyists alike, but Tanner has been working on drones for a decade, and on multi-robot systems in general for more than 20 years. He has published more than 130 journal articles and conference papers and written nine book chapters. For his contributions to the field of multi-robot systems, Tanner was recently named a Fellow of the American Society of Mechanical Engineers (ASME). Tanner’s research group works on robotics, control and automation. They use theory to design algorithms which are then validated through experimentation. Tanner’s current work has a broad range of applications, from promoting rehabilitation for children with special needs, to oceanic sensors networks, nuclear nonproliferation and more. Sometimes this work involves taking commercially available drone systems and hacking them for new uses. 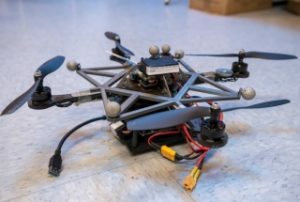 For example, with funding from the Defense Threat Reduction Agency, Tanner is developing networks of autonomous drones to detect carriers of radiation. He passes this and other lessons on to engineering students. At UD, Tanner has taught classes in subjects such as robotics, vibration and control, dynamics, machine design and nonlinear control. 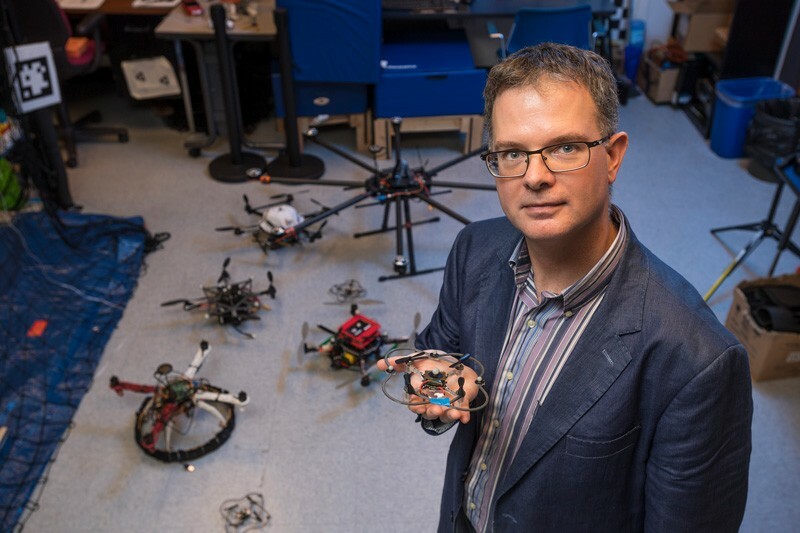 He received the NSF CAREER Award in robotics in 2005, and became senior member of the IEEE in 2008. (IEEE stands for the Institute of Electrical and Electronics Engineers, but the association’s membership has expanded with people in related fields, so it goes by IEEE, except in legal documents.) In May 2018, Tanner was awarded the 2018 Outstanding Junior Faculty Member for the College of Engineering and in September he was promoted to the rank of professor. Tanner joins an elite group as a Fellow of the American Society of Mechanical Engineers (ASME). ASME has more than 130,000 members, and just 3,489 have achieved Fellow status. Andreas Malikopoulos, the Terri Connor Kelly and John Kelly Career Development Associate Professor in mechanical engineering, shares the robotics and control laboratory with the other robotics researchers in mechanical engineering, including Tanner, associate professor Ioannis Poulakakis, and assistant professor Guoquan (Paul) Huang, and all of them collaborate frequently. 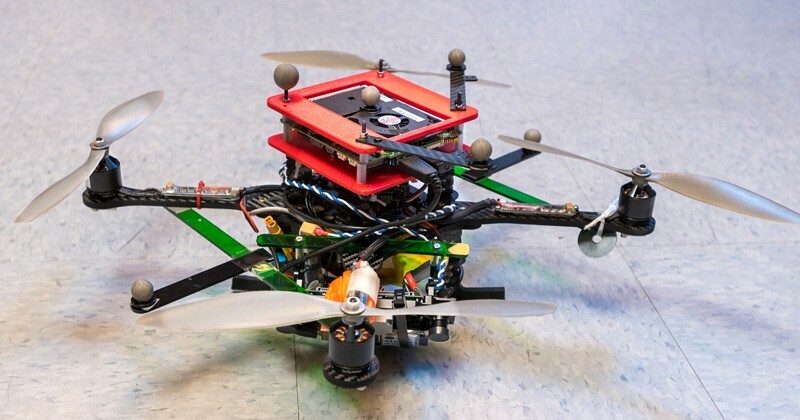 “This is a well-deserved honor for Dr. Tanner who has made seminal contributions in the area of planning and control of robotic systems,” Malikopoulos, who is also an ASME Fellow, said. Tanner earned his doctoral degree at the National Technical University of Athens in Greece in 2001. From 2003-2008, he taught at the University of New Mexico, where he had a joint appointment in the Department of Mechanical Engineering and the Department of Electrical and Computer Engineering. He joined the UD faculty in September 2008.